I’d forgotten about this one. The light was fantastic early in the morning at Bordesley Meadows. I’d set out to try and get some shots of the English Longhorns but they managed to elude me. Never mind – the light was good so I took what I could. 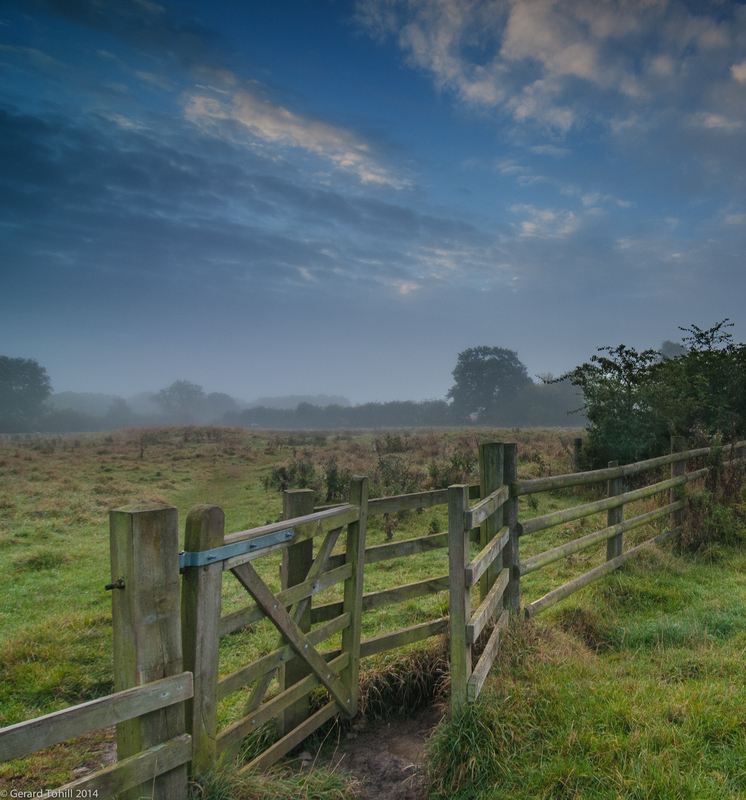 I was standing here taking photographs one morning when a fox ambled by only a few yards away, as cool as you like. As these things go, I had my wide angle lens on, and the fox, as animals do, wasn’t going to hang around while I rummaged in my pack for the 70-200mm lens. There’ll be other opportunities. Photography stuff: 12-24mm lens at 12mm, 1/30 sec at f/9.0, 2 stop graduated ND filter, handheld. Thank you – I had some great light that morning – really makes for a good image. As you can see, your photo is so intriguing, it doesn’t even need wildlife to be there!! Actually I think the English Longhorns may have spoilt the picture. A great photo!